Particularly during the summer months, a greasy and shiny complexion is a common concern for Apes and Gentleman alike. 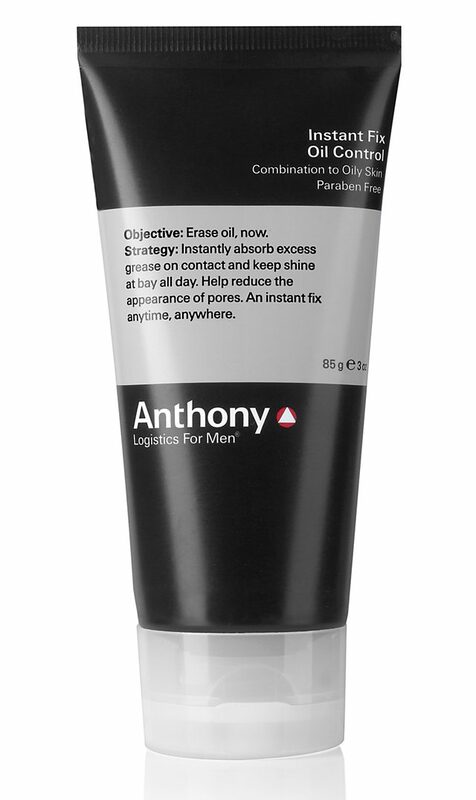 The timely release of Anthony Logistics Instant Fix Oil Control is a welcome addition to a man’s grooming arsenal. It aims, unsurprisingly, to “erase oil”. Designed to specifically control and instantly absorb excess grease and oil on contact it also helps to reduce the appearance of open pores. Other benefits include Instant Fix Oil Control’s ability to cleverly diffuse light resulting in camouflaged shine, it also helps to reduce breakouts caused by excess oil and can be used not only on an oily T-Zone but a shaved head too.